A little over two weeks ago, the garage shutters rolled down for the final time in Abu Dhabi and the covers were placed over the cars. Finally, after nine months of travel, racing and frantic activity, the teams and their crews went home to relax. Just a day later after the final race in 2017, the team’s air freight arrived back at the McLaren Technology Centre service yard. The mechanics roll into work on Monday morning and immediately began unpacking the freight containers, busily pulling out all the constituent parts ahead of the winter rebuild. Briggs and his team spend about a week unpacking the freight pallets and sending everything quickly away for servicing. Turnaround times in the non-F1 world are far slower than those required by a fast-moving grand prix team. And, besides, the deadlines for preparing sea freight for the first race of 2018, in Australia, are also incredibly tight. The three tubs (Fernando’s and Stoffel’s cars and a spare) that return from Abu Dhabi make only the briefest of farewells at MTC before being packed off to a separate location, where they’ll be stored, and the spare parts archived away. Briggs runs everything from a series of extensive spreadsheets, these enable him to know which member of the team is working on which exact component, where that part is and when it’ll be back at the factory. He certainly needs the spreadsheets: “It’s a huge job,” he concedes. “We strip down the fuel-rigs and chillers. They need a full repaint, the pumps need servicing, and the chillers go off for a service. “All our wheel rims become obsolete at the end of each year, so they’re stripped of the sensors and components we can re-use, and everything is bagged up and returned. The tyre warmers and control boxes are then sent for servicing. “The tyre pressure gauges go back to the manufacturers. The big mechanics’ toolboxes are emptied of tools; all the drawers are taken out, and everything is stripped down and sent to paint. Once they come back, they’re restocked and readied for the first test. “All the garage equipment needs servicing – the wheel-guns, fuel-rigs, overhead gantries, the timing stand, the pit-lane gantry. The engineers’ centre console unit is stripped of its electronics and internals and broken down. 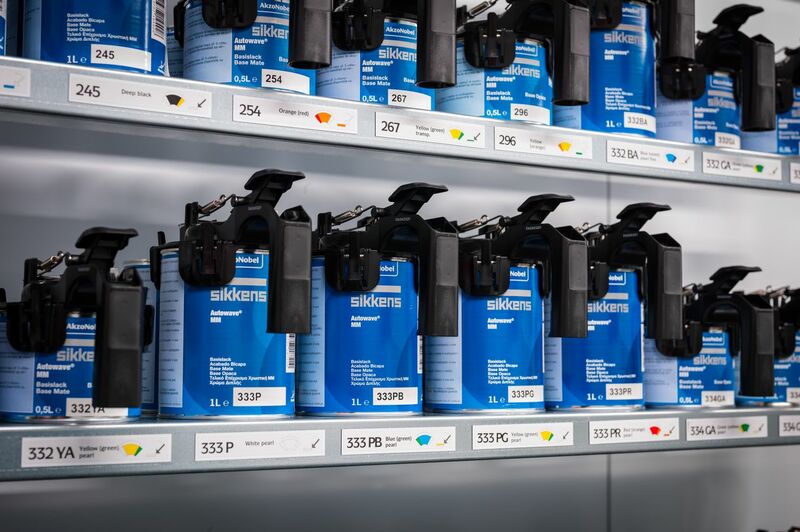 Obviously, paint-shops can’t paint items that are full of electrical equipment or IT kit, so it all needs to be removed. For Briggs and his team, it’s the sea freight deadlines that provide the most pre-Christmas angst. Almost unbelievably, the sea freight for the opening race in Australia leaves in the first week of January 2018. All the teams divide their cargo between sea- and air-freight delivery. Air-freight is far more expensive, but faster and therefore more convenient, so it’s perfectly suited to rapid-turnaround parts, like the cars themselves and all the spares. 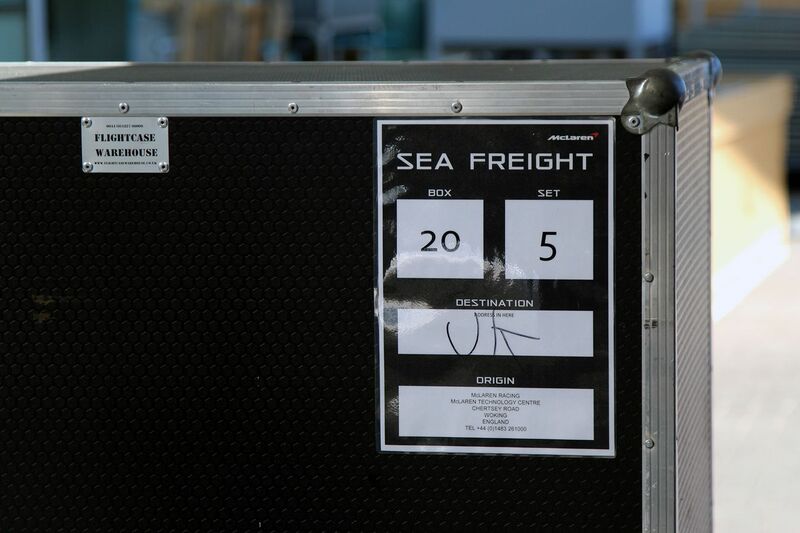 Sea-freight is far slower – it takes weeks to reach Australia and the Far East – but cheaper, so the teams pack off their less-essential items (garage panelling, the overhead gantry, electric cables, airlines, consumables – such as nuts, bolts, lubricants and cleaning products – tables, chairs, printers, and some of the heavier fabrication kit, such as vices and presses. In 2017 McLaren sent an average of 33.5 tonnes of air-freight to each and every race. We have five sets of sea-freight, each of which fits into two 40ft sea containers. The Christmas break provides an inconveniently timed two-week pause in the preparations for the new season. The festive period is a critical part of the team’s preparations, but it naturally puts a two-week handbrake on turnaround times from suppliers and manufacturers. The first month of the year is when everything comes back and starts to be built back up by the mechanics. The first 2018 chassis won’t ordinarily appear until early February, and will be largely taken care of by a separate car-build crew, so January is busy with prepping and fettling the freight. 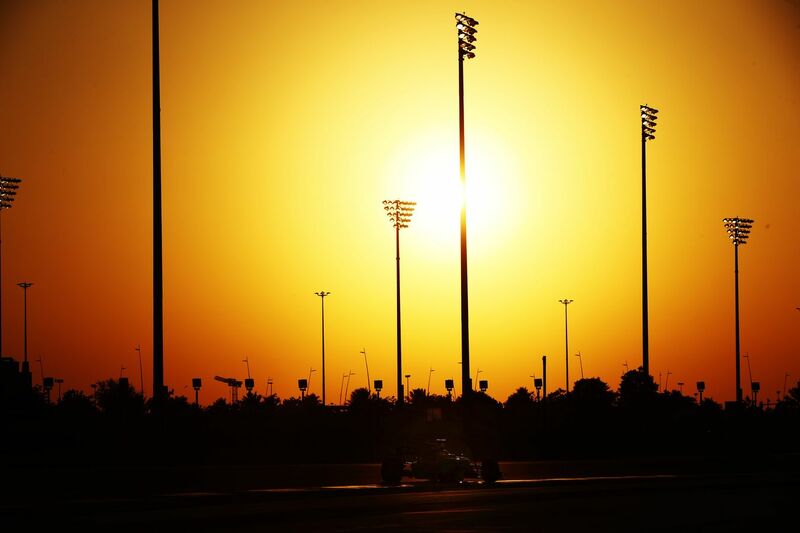 As the mechanics wait for the first chassis to appear, they are also preparing physically for the long season ahead. That means pit-stop practice twice a day, and twice-weekly gym sessions to get the pit-stop crew into shape.